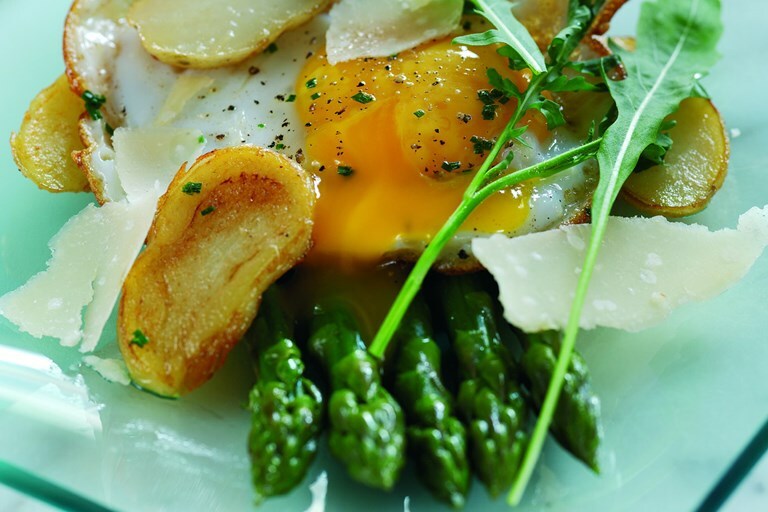 This is a great potato recipe for spring, when both Jersey Royals and asparagus are in season. The fresh flavours and vibrant colours in this starter herald the warmer days and lighter meals to come. If you are preparing this salad from Shaun Rankin for a vegetarian, replace the Parmesan with a different cheese that is free of animal rennet. Ask your cheesemonger for suggestions. Shaun Rankin’s cooking exudes effortless self-confidence.